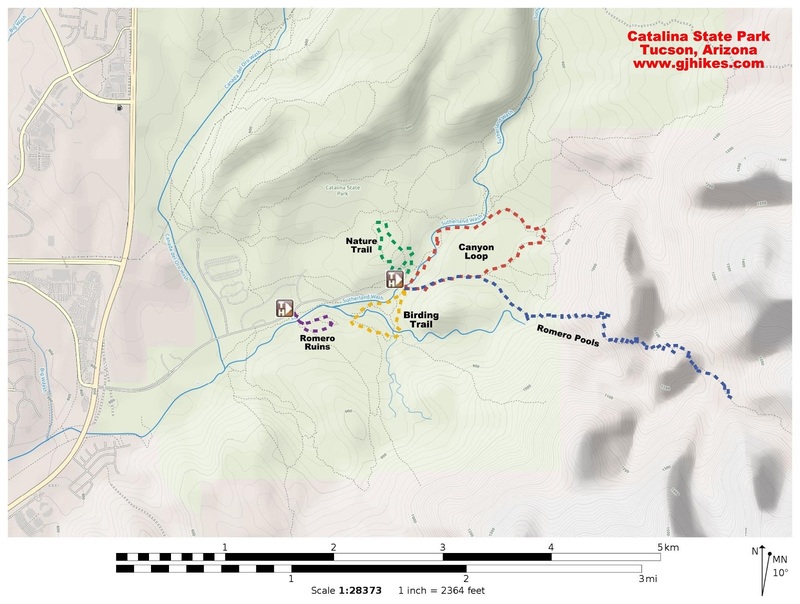 The Birding Trail is located in the Catalina State Park north of Tucson, Arizona. The trail makes a 1 mile loop around the mouth of Montrose Canyon. A mesquite bosque with desert desert shrubs creates a unique bird habitat for various local and migrating species of birds. With the Santa Catalina Mountains as a backdrop to the trail visitors are treated to a pleasant experience in the Sonoran Desert of Arizona. 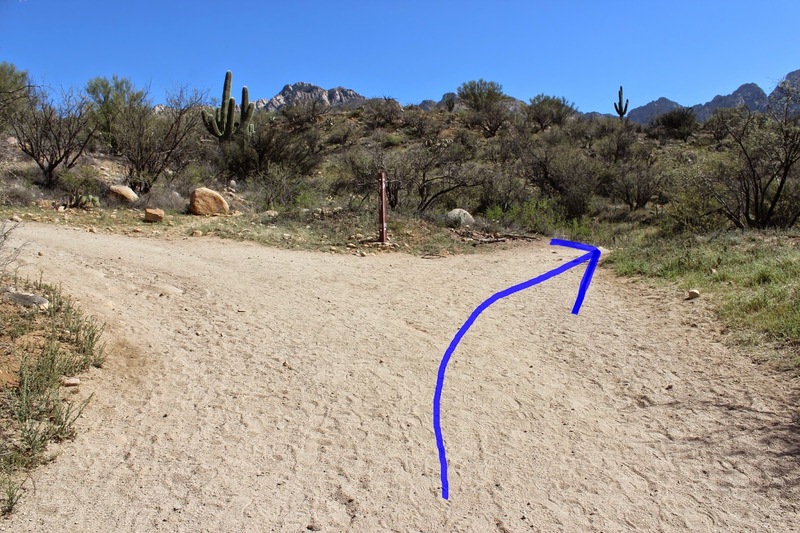 Catalina State Park is located about 15 miles north of Tucson off of the Oracle Road, Highway 77. The park is open daily between 8 am and 5 pm although it also includes a campground for overnight use. 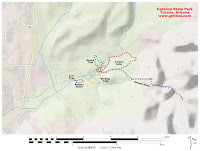 The trailhead is known simply as the 'Trailhead'. It can be found at the end of the park's entrance road. Most all of the trails in the park, with the exception of the Romero Ruins trail, begin at this trailhead. For more information about the park including special events you can visit the parks official website. From the trailhead cross Sutherland's Wash and watch for the Birding Trail that branches off on the right. The wash is normally dry except during the rainy times of the year in early spring and late summer. The trail travels through a mesquite bosque (woodland) with a thick undergrowth of desert brush and grass. Be aware that rattlesnakes may be secluded in the grassy areas and less visible as they might be on the trail itself. Birds can always be tough characters to snap photos of and the brush doesn't make the job any easier. We watched this roadrunner, that made very few pauses, scurrying about the side of the hill. Never quite stopping in one place long enough to focus the camera. This ladder-back woodpecker was also a busy subject but at least it had to pause long enough to listen for bugs beneath the bark. Interpretive signs can be found along the trail that teach hikers about their surroundings. As you hike the trail begins a loop that takes it up and over a small hill. Over the course of the year more than 200 different species of birds can be seen in the area of the Birding Trail. Kids like making a game of spotting different birds and just spending time in the outdoors. There are a couple of short side trails that branch off from the main route that lead to spots with more viewing opportunities. Great Horned owls nest off of a side trail on top of the hill during the spring. Of course, extra care should be taken to not disturb nesting birds so bring your zoom lens and a pair of binoculars. It is a good time to find them sitting still long enough to get a good picture. The Birding Trail is a great family hike in a pleasant setting. If you would like to see it for yourself then all you have to do is 'Take a hike'.